Lessonly is a learning management system designed for the use of sales and customer support teams. It provides users with collaborative learning tools for onboarding, lesson building, and professional development. In this article, we covered user reviews and pricing. Ready to get started with Lessonly? Request a demo. Users who gave Lessonly a positive review commended its ease of use and straightforward interface. They also mentioned that its training modules provide a streamlined approach in carrying out onboarding tasks and assignments for new employees. They also cited customer support as helpful and proactive in addressing their concerns. Users who gave Lessonly a negative review suggested improvements on its analytics, tags, and shortcut features. They also said that it would be helpful if there are mass lesson templates available, as well as a more customizable program content that includes adding of images and videos. One user who gave Lessonly a negative review on Capterra mentioned that the creation of custom fields aren’t as intuitive as the other aspects of the platform. He also suggested expanding the lesson plan development tools for a more organized training process. Lessonly offers two subscription plans called Pro and Pro + Coaching. However, they don’t publish their pricing plans online. Services from similar providers usually cost around $10 to $20 for apps with basic services, while more extensive ones cost around $40 to $100+ per month. Add-on features such as advanced reporting, user management, and branding are also available at an extra cost. Ready to get started with Lessonly? Request a demo. 5 Best Learning Management System (LMS) 2018 — A learning management system (LMS) is a software that lets businesses host, deliver, and track employee training and certifications. In this guide, we shared our top recommendations based on affordability, ease of use, and system features. What types of onboarding practice modules does Lessonly offer? Lessonly offers onboarding practice modules specifically designed for sales and customer support teams. These include topics on chat communications, support ticket handling, email composition, and feedback communication. 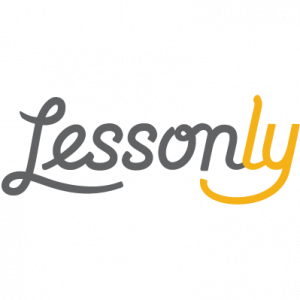 How can users create onboarding lesson plans using Lessonly? Lessonly provides users with drag-and-drop functionalities that enable them to add texts, images, videos, documents, and quizzes into their lesson plans. Not sure if Lessonly is the right fit for you? 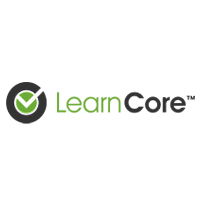 Read our reviews of all top learning management system or check out one of these three Lessonly competitors. Ease of use is great for both admins, lesson creators, and “learners”. customization is pretty open and i love that there’s an element library to save often-used images, text, links, etc. embedding videos, gifs, images, etc is so easy and these elements are really important for enhancing the visual interest for online documentation software. the people there are friendly and easy to work with, and our company embraces this platform more everyday! since they’re new-ish they’re very receptive to suggestions as well. Some pieces of the admin/manager view are cumbersome, like editing people/teams and adding new hires. the fields are open string fields instead of indexed to existing users/teams, etc. (for example when i want to indicate to whom each learner reports, i would prefer to be able to choose from an existing user, not just type an open text answer). they’re adding some really neat features but they’re all specifically catered towards zendesk – and since we are not zendesk users it makes us feel kind of left out. I love the ability to create and edit content quickly and easily with Lessonly. This tool has really changed how we share information and follow up with employees on learning important skills, both in our home office and globally. The Lessonly University feature allows me to see other successful lessons, and also take content (like “What is Lessonly?” and easily edit for our purposes to send out to employees. 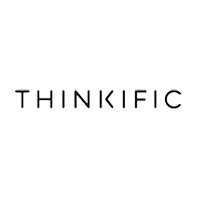 We have used this tool for a variety of content, and look forward to strengthening our companys’ work flows and culture through Lessonly in the future. There isn’t anything that I dislike about Lessonly! I love the ease of use and the ability to edit and change things as we go. Integrations are wonderful, and we are forever thankful that we have Tanner, our Client Experience Manager, ready and available to help us through any speedbumps we encounter! Make sure to utilize things like Lessonly University and your Client Experience Manager to help you through any bumps in the road – even though those moments have been rare for us, they have been easily solved using one of those resources, and very quickly as well! The ability to navigate through the program and create new lessons is probably the best I’ve ever seen. I wish every program I used was as easy as Lessonly. When you’re looking for something, it’s always right where you’d expect it to be. It’s so user-friendly that it saves so much time and stress. I wish I’d known how easy it was, I would have used them sooner. We are using Lessonly for on boarding new employees and deeper industry training. This software has helped us because we are in a very niche space. We need all employees to have a deep understanding, and Lessonly helps us ensure that we have many industry experts on the team. I like all of the options that Lessonly provides. There are countless content options, like embedding videos, quizzes, and even video response options. Putting lessons into learning paths is an easy way to organize information and keep people on track. Whenever we have a feature request, Lessonly’s team has been quick to either let us know it’s coming soon or has been very willing to help us achieve our end goal through whatever means necessary. One thing I wish you could do is go back and change a score on a quiz grade or delete a user. Right now, Lessonly must do that internally. We don’t primarily use Lessonly for training. We saw the learning library offering as a way to provide an economical knowledge management system for our call centers across the US to replace an older system . We would like to see increased functionality and flexibility in this area of the technology. We are moving into utilizing the training lessons more over 2019, but for now the learning library’s flexibility is the only pain point we have with Lessonly. We are huge fans! Some of the search return logic does not work well with subjects similar in nature. We have some cases we struggle with accurate returns for information being searched, but are working with the account team to create better tags and words that will get our users to the information timely while on the call.